Dr Cheryl Lawther and Dr Lauren Dempster participated in a border trail tour run by SEFF on 5th December 2016. This tour provided a fascinating insight into the nature of the conflict in the Fermanagh and border area. The tour guide’s local knowledge and willingness to share his own experiences enhanced the team’s understanding of the impact of the Troubles in this rural area, and demonstrated how the physical landscape is imbued with memories of past violence. 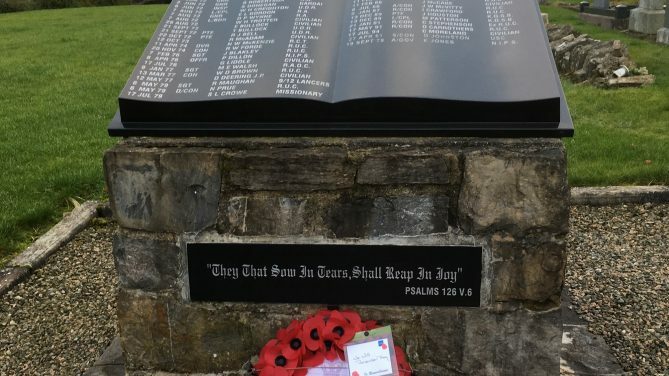 The tour ended at a memorial to victims from the local area in the grounds of Lisnaskea Church of Ireland.